Animal Wildlife | Borneo Elephant | The Borneo elephant is a sub-species of Asian elephant which includes the Indian elephant, the Sumatran elephant, the Sri Lankan elephant and the Borneo elephant. The Borneo elephant is also known as the pygmy elephant as it is the smallest of the elephant sub-species. As its name suggests, the Borneo elephant is found exclusively on the island of Borneo in the Malaysian state of Sabah and parts of Indonesian Kalimantan. Much of the Borneo elephants natural habitat has been destroyed to make way for palm oil plantations and there are now thought to be less than 1,000 Borneo elephant individuals left in Sabah. 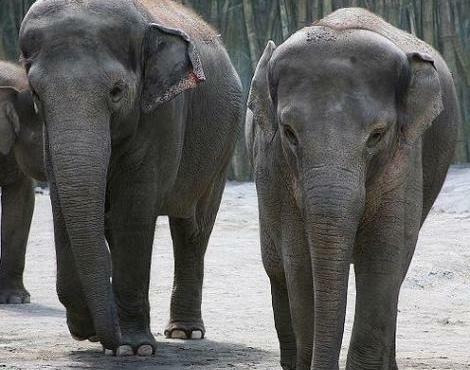 The Borneo elephant has smaller ears than the African elephant and the Borneo elephant also has a more curved spine than the African elephant. Unlike the African elephants, the female Borneo elephants very rarely have tusks, and if the female Borneo elephant does have tusks, they are generally barely visible and can only be seen when the female Borneo elephant opens her mouth. The Borneo elephant follows strict migration routes that are determined by the monsoon season. 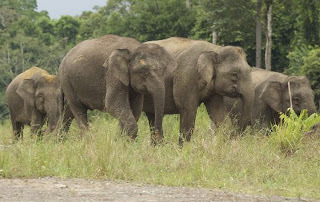 The eldest elephant of the Borneo elephant herd is responsible for remembering the migration route of its Borneo elephant herd. 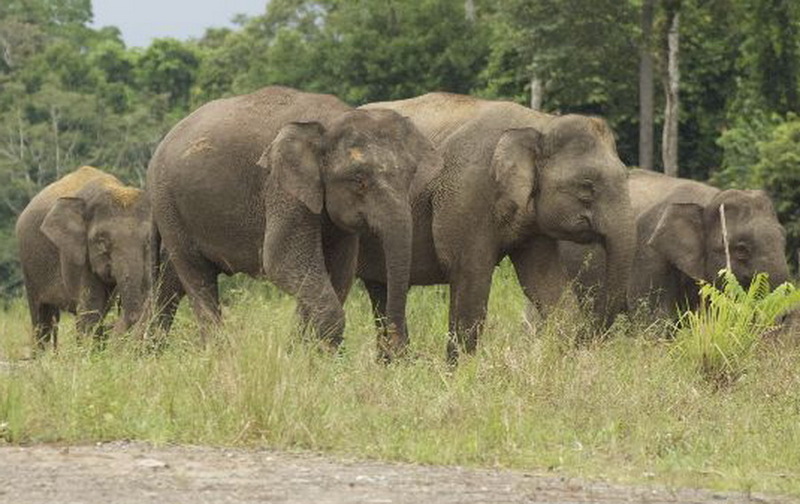 This Borneo elephant migration generally takes place between the wet and dry seasons and problems arose when farms where built along the migratory routes of the Borneo elephant herds, as the Borneo elephants caused a great deal of destruction to the newly founded farmland. Borneo elephants are herbivorous animals meaning that they only eat plants and plant matter in order to gain all of the nutrients that they need to survive. 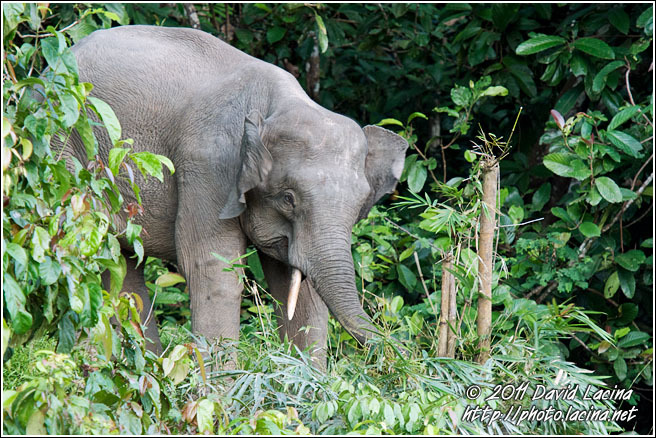 Borneo elephants eat a wide variety of vegetation including grasses, leaves, shoots, barks, fruits, nuts and seeds. 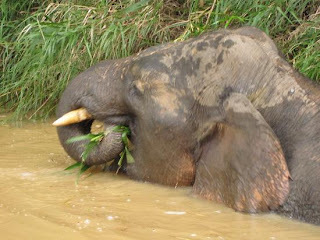 Borneo elephants often use their long trunk to assist them in gathering food. 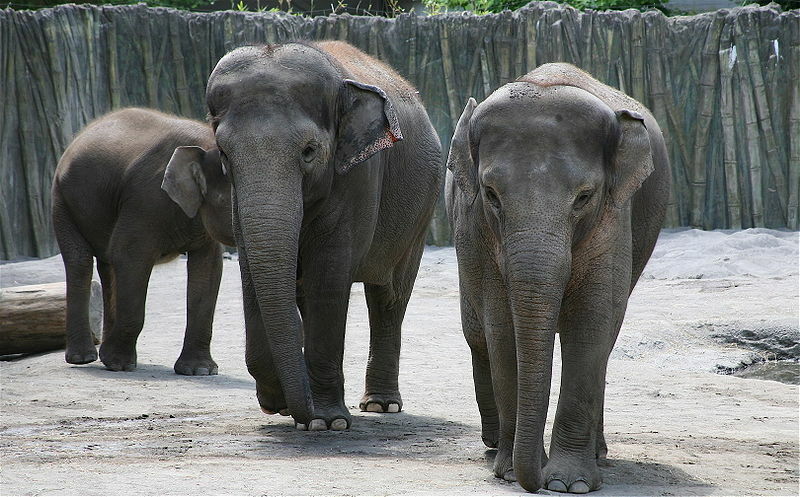 Due to their large size, Borneo elephants have very few predators within their natural environment. Besides human hunters, tigers are the primary predator of the Borneo elephant, although they tend to hunt the smaller Borneo elephant calves rather than the much larger and stronger adults. Female Borneo elephants are generally able to breed by the time they are 10 years old, and give birth to a single Borneo elephant calf after a 22 month gestation period. When the Borneo elephant calf is first born, it weighs about 100 kg, and is cared for not only by it's mother by also by other female Borneo elephants in the herd (known as aunties). The infant Borneo elephant remains with its mother until it is around 5 years old and gains its independence, with males often leaving the herd and female calves staying. Today, the Borneo elephant is considered to be an animal that is in immediate danger of becoming extinct due to the fact that Borneo elephant populations have been declining at a critical rate. Borneo elephants are thought to be suffering primarily due to habitat loss in the form of deforestation and hunting for their ivory tusks by human poachers. 1 Response to "Borneo Elephant"